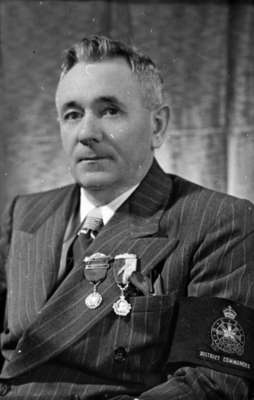 A black and white photograph of Frank Threadgold (1890-1955). Frank Threadgold, 1947, Marjorie Ruddy. Whitby Archives 31-009-475.